An international team of astronomers, led by an MIT astronomer, have observed the sharpest resolution images to date of the black hole at the center of the Milky Way. 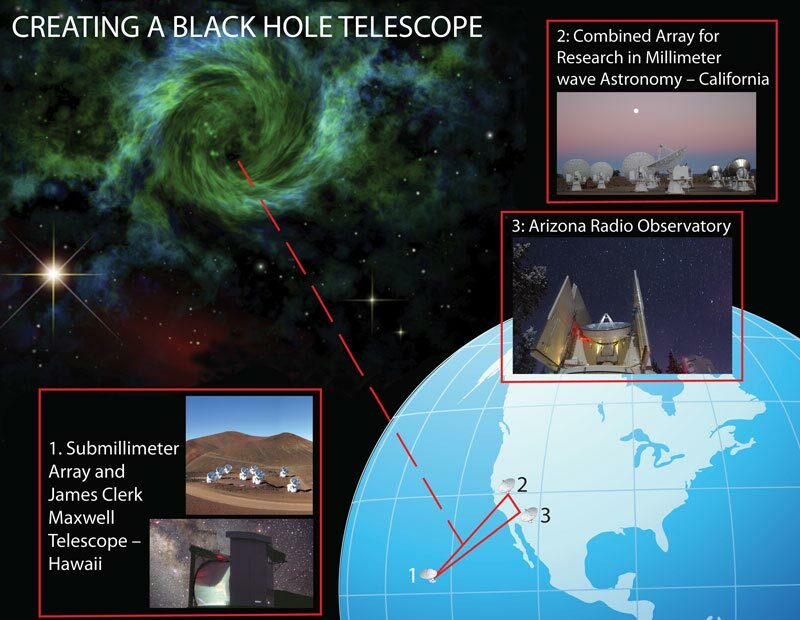 They used a combination of radio wave emissions captured by telescopes in Hawaii, Arizona, and California and detected a structure at the tip of the black hole. 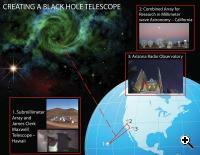 This discovery sets the stage for further investigation of the black hole and its structure. 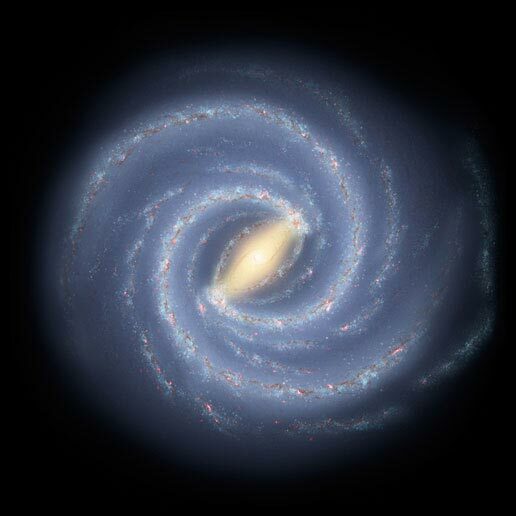 Most galaxies are hosts to Super-Massive Black Holes (SMBHs) lying at their centers. 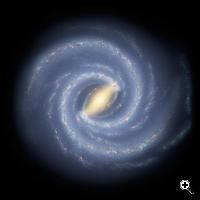 The Milky Way is no different. Every black hole has an event horizon, a region beyond which nothing can emerge, not even light. Therefore direct observations of the black hole itself are currently impossible, and astronomers have to settle for observations of the areas surrounding the black holes. The team studied 1.3 mm radio wave emissions from an object named Sagittarius A*. Emissions at this wavelength are more likely to escape the galactic center, because they are not as susceptible to interstellar scattering which results in a blurred image. The VLBI technique is normally limited to wavelengths of 3.5 mm or longer, but the team was able to push the technique’s limits and obtain results for a shorter wavelength of 1.3 mm. The structure they saw was located at the galactic center and had a 37 micro arc-second angular scale, corresponding to about 30 million miles. They were able to only vaguely determine its shape. Further research is required to understand what this structure is. Options include a glowing corona surrounding the black hole, an orbiting “hot spot” or a material jet. “This pioneering paper demonstrates that such observations are feasible,” commented theorist Avi Loeb of Harvard University, who is not a member of the discovery team. “It also opens up a new window for probing the structure of space and time near a black hole and testing Einstein’s theory of gravity.” Furthermore, “This result, which is remarkable in and of itself, also confirms that the 1.3-mm VLBI technique has enormous potential, both for probing the galactic center and for studying other phenomena at similar small scales,” said Weintroub. The team plans to continue its work by developing novel instrumentation to make more sensitive 1.3-mm observations possible. They also hope to develop additional observing stations to enhance the detail in the picture. Future plans also include observations at shorter, 0.85-mm wavelengths. However, for such work to be successful, they will have to stretch the capabilities of the instrumentation even further and wait for excellent weather conditions at all telescope sites. TFOT reported on research confirming the leading theory regarding the behavior of galactic black holes, according to which the particles are accelerated by tightly-twisted magnetic fields close to the black hole. In another article TFOT covered a new study suggesting there is an upper limit on the mass of black holes. Further information on the new discovery, which was published in the Sept. 4th issue of Nature, can be found in the Harvard-Smithsonian Center for Astrophysics press release.